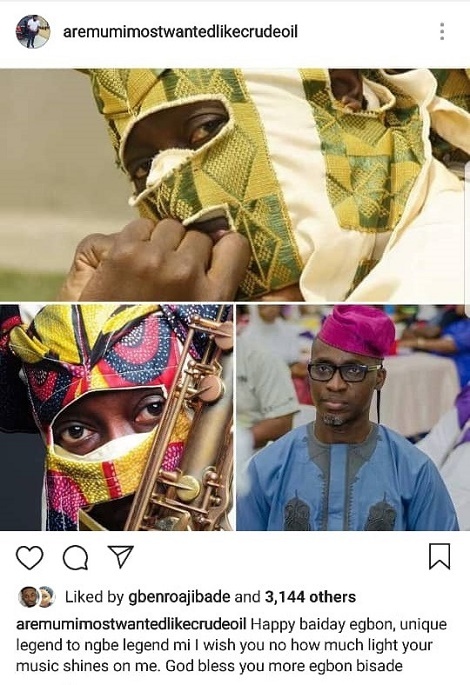 Welcome To Ladun Liadi's Blog: Photo: Could This Be Lagbaja's REAL FACE? Could this be Lagbaja's real face? Since he started singing in the 1990s, Lagbaja-- Bisade Ologunde is yet to reveal his face. Someone wished him a happy birthday on Facebook revealing his face and it has since been a debate on the social networking site. I heard he has tribal marks. If that guy in the picture's got them,probably that's Lagbaja o.